Led by Erasmus Darwin, the Lunar Society of Birmingham was formed from a group of amateur experimenters, tradesmen and artisans who met and made friends in the Midlands in the 1760s. Most came from humble families, all lived far from the centre of things, but they were young and their optimism was boundless: together they would change the world. Among them were the ambitious toy-maker Matthew Boulton and his partner James Watt, of steam-engine fame; the potter Josiah Wedgwood; the larger-than-life Erasmus Darwin, physician, poet, inventor and theorist of evolution (a forerunner of his grandson Charles Darwin). Later came Joseph Priestley, discoverer of oxygen and fighting radical. Led by Erasmus Darwin they joined a small band of allies, formed the Lunar Society of Birmingham (so called because it met at each full moon) and kick-started the Industrial Revolution. Blending science, art, and commerce, the Lunar Men built canals, launched balloons, named plants, gases and minerals, changed the face of England and the china in its drawing rooms, and plotted to revolutionise its soul. Jenny Uglow's The Lunar Men is a vivid and swarming group portrait that brings to life the friendships, political passions, love affairs, and love of knowledge (and power) that drove these extraordinary men. It echoes the thud of pistons and the wheeze and snort of engines, and brings to life the tradesmen, artisans, and tycoons who shaped and fired the modern age. Winner of the PEN Hessel-Tiltman prize for history, and the James Tait Black Memorial Prize for biography, The Lunar Men captures the creation of the modern world with lucid intelligence, sympathy and wisdom. 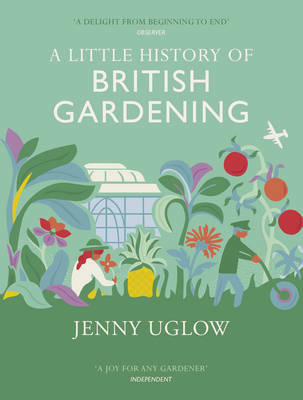 Jenny Uglow is also the prize-winning author of Nature's Engraver, Elizabeth Gaskell: A Habit of Stories and most recently, In These Times.